An update at last! Lots of pictors! Does anyone want a free yoga strap? I was buying some much-needed equipment because it was on sale (got blocks and a wedge), and thought I might as well get a strap too. But I was very stupid and didn’t read the description carefully enough because it turns out I was buying not one strap, but twelve. I have no need for a dozen yoga straps, I assure you, so . . . who wants one? These aren’t the best; they’re not adjustable and they’re made of nylon so they’re a little scratchy. But they are very serviceable and will do you just fine. Jennifer? Maggie? Anyone? Just let me know. Yes, even if you don’t know me personally! Oh, and they’re that dark purple color, in case you were wondering. Glory, glory! The misery of last week is ended and I’m free . . . that is, to concentrate on massively studying for my written qualifying exam which is in two weeks . . . but even that is an improvement. For those of you who don’t know, I committed almost a year ago to writing a chapter for a textbook on the social history of the American West. I figured a year would give me more than enough time to plan, research, and write a thirty-page piece on Asians in the West — and I would have been right, except that grad school went and caught up with me, and as a result I didn’t get a chance to start on it until summer. And you know what my summer has been like, with all this exam studying: three books a week, minimum, and a one-to-two-page summary on each; weekly meeting with mini-cohort to share and discuss the summaries; multiply two or three books per person per week (the other mini-cohort is doing two/week) times fifteen people times nine weeks, and you get one really intimidating pile of work I haven’t even begun yet to crack into. It might not have been so bad, except that we’re all still recovering from the slow unwitting death that is the first year of grad school . . . and so, basically, we’ve all been going mad since July. Or earlier. The really scary thing about this year’s training is actually, three books a week and three summaries isn’t bad at all. Reading a book takes what, a day, half a day, for me now, and writing a summary takes about an hour or so. Since I’ve had the luxury of not having to take a job this summer, and I don’t have a family to take care of, this should have been easy. But I’ve just been burned out and wanting a break, really unmotivated, and then I had this chapter to write. So it has been a really lousy summer. A selfish thing to say, given that thousands of people in New Orleans have had a really lousy week and we can’t honestly think the future’s looking too rosy for them either. But there it is. So I’ve been slogging away in rapidly growing desperation and depression, and finally I finished the chapter on Friday and sent it in. There are still a few finishing touches to be made, and tons of edits I’m sure, but I am just so happy to be done with it that I don’t care. I haven’t heard back from the editor yet, so now he’s probably sighing over it and wondering why he ever hired a first-year grad student as a contributor, but until I hear it from him I can still be happy about it! Really I don’t think it’s half bad. It could certainly have been a much better essay, and I wish I’d planned my time better so it could have been, but overall I’m pleased with it. My only real concern is that it’s all wrong for the publication and isn’t at all what they wanted and is therefore less than useless to them . . . which I do think is a real, legitimate fear . . . that freaks me out a little, yeah. By the time I realized I might not have known what I was doing as well as I’d thought, it was far too late to do anything but keep on going. So we’ll see. But in the meantime all I have left to do now is STUDY, and it’s ridiculous but that makes me SO glad! It feels an amazing luxury to only have to work on one thing now– I just can’t think too much about how I only have fifteen days left. Eep. In a wonderful example of good timing, Erik flew down to visit this weekend, so I was able to celebrate properly. In fact I dashed off the email to the editor with the attached chapter and was practically out the door before it had even finished sending — even so, Erik was kept waiting for twenty minutes until I arrived. Then I dragged him out to sit with me while I had some dinner at a late-night Thai place, and then I insisted on walking around Sunset afterward because I was so happy to be done and OUT OF MY APARTMENT for the first time in three days (I kid you not). “Let’s spend as much time as possible out of the apartment this weekend,” I said, and he was nice and agreed. Saturday we went out almost as soon as we got up. First we dropped by Meltdown Comics, where I bought two books (more on those later) because I have rather suddenly become very interested in graphic novels. Apparently Meltdown is the largest comic book store on the West Coast… and I live within walking distance of it. Cool, I can feed my growing addiction. After I bought the books, we had lunch at California Vegan. I love that restaurant. They’re so nice there, and the food is delicious, and incidentally that’s also where Erik gave me my ring–though that has nthing to do with my fondness for the place, I promise you! (I don’t expect you to believe that–but it is true.) After lunch we walked over to the Metro and set out to go see the Not a Cornfield (click for album [link broken, but some photos re-uploaded below]). Oy, the place has changed a lot since I was there a week ago — the corn has grown at least a foot I think. It’s now dry and old-looking instead of the lush, healthy appearance of last Saturday. Added to this was the fact that the visitors’ entrance closest to the rail station was inexplicably closed, and so we had to walk several hot and dusty blocks to get in at the other end, suspecting all the while that all we’d find there would be another locked gate! Fortunately we didn’t, so we went in and wandered round a bit. After that we both had a little bit of sunstroke, so we had to sit under the visitors’ tent for a while and just cool down. I hate that hot-dirty-dizzy feeling. We made our way slowly back to the metro station, then I suggested that we’d both feel a lot better if we just went the extra block-and-a-half to Chinatown to find something to drink. Erik agreed, so after walking several blocks (skipping all the sketchy-looking bakeries and cafes we passed), we stopped at Central Plaza, where last week’s food festival had been held. I was aiming for a non-sketchy bakery I’d noticed there during the festival. When we walked in, I smelled the lovely fragrance of sweetness and sponge cake that Asian bakeries always seem to emanate. But Erik was not interested in such things. We retraced our steps to Via Cafe, where the music was awesome (listen: Piazzolla and Caetano Veloso) and the waiter, cool and friendly. There’s a little bit of a gr/eats [link broken] vibe to the place, which I appreciated. One iced blended mango boba, one passionfruit slushy, and two big bowls of pho later, we were feeling infinitely better and ready to set out again. So we walked–>Metro–>bus–>home. Then I baked, and Erik took pictures. I don’t have any photos of how they looked when they came out of the oven, sorry. Next morning we lounged around a bit. I was feeling inspired by all the graphic novels I’d read recently, so I drew a little. Sad, sad work compared with what’s in those books. It’s just the angle, because this leotard doesn’t even flatten me out as much as my other two do. I’m going to be spending a lot more time at Meltdown in the future, methinks. Not only is it a “clean well-lighted place for books” (I’m stealing the name of another store here), but I’ve just finished Marjane Satrapi’s Persepolis and I need to get its sequel. What an incredible book. I love her style. I now own three graphic novels: Persepolis, Craig Thompson’s Carnet de Voyage, and Adrian Tomine’s Sleepwalk and Other Stories. They’re all quite different, in both style and content, but I recommend them all very highly. I feel like there’s this whole amazing world of style-and-story out there that I’ve only just begun to scratch the surface of. There goes all my pocket money, but . . . these are so cool! And so beautiful. Yay! 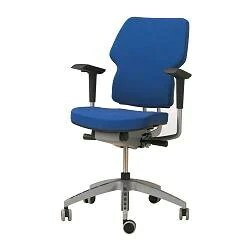 It has good back support (upper, middle, and lower) and it’s a good mix of cushy and firm. Ahhhh, sitting at the computer is no longer painful. After (P)IKEA we had satisfyingly classic-American Italian food for dinner (red-checked tablecloths, big bottles of red wine, candles, all that stuff), then watched The 40 Year-Old Virgin. It’s not our usual kind of movie, we weren’t the ones who chose it– but I’m so glad we went. It was very, very funny, and actually–despite its premise–it was more realistic than a lot of movies, and was even–believe it or not–sweet. And I mean it was really sweet, not pretend-sweet like all the silly chick flicks out there. This was not a chick flick, most definitely. It was probably the most explicit movie I’ve seen in a while; I would definitely not want any kids to be watching it, unless, I guess, they’re the kinds of kids who’ve done all kinds of things that I will never even try . . . but still I think it’s more an adult film. But anyway. Go see it if you’re so inclined. It’s very enjoyable, all the actors are just great, and it is funny. Monday we didn’t do much, just went to the farmers’ market and had lunch at Eatwell. Yay for brunch places that have veggie sausage! Mmm… sausage and gravy and biscuits. Then I took Erik to the airport. And that’s my weekend. Now . . . back to my regularly scheduled work day. I love the pictures you post all the time 🙂 We need some solid girling/goofing off when i get back there……. Sept 21! Jackie’s convinced I’m a D-cup, too. I say no way! If A = lemons, B = oranges, C = grapefruits… what the heck is a D supposed to be?! I’m not carrying around canteloupes here! Hee. You move back the day of my qualifying exam, so you rest from moving, I’ll get the silly exam over with, and then we should hang out! 😀 I was so excited to read about the place you’re renting on your journal… are you really renting a whole house? O.o WOW. Grown-up stuff!! Re: Hao jiu bu jian! Salut mon cher! Thank you very much for the encouragement. It is extremely welcome at this point!! *hugs* I hope things are going well for you. I read your journal and will leave a longer comment after tomorrow’s mini-cohort meeting (I have a lot of catch-up work to finish before then), but I hope you are feeling better.